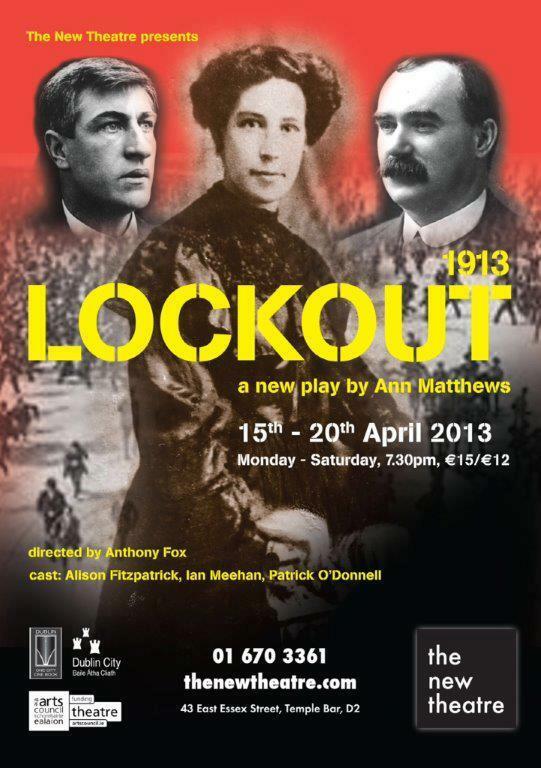 ‘Lockout’ by Ann Matthews | Come Here To Me! « Some political attacks on Dublin cinemas historically. In recent weeks we have posted a number of articles on the 1913 Lockout to the site, looking at things like the cartoons of the Sunday Independent, the visit of leading trade unionist Bill Haywood and the funeral of Big Jim many years on from the event. We intend to continue posting brief articles like these as a small contribution to the centenary year, but it’s also our hope to promote events which examine the Lockout and its place in Dublin history. This upcoming play by Ann Matthews is something I will certainly be attending. Matthews has written two excellent studies on the history of women in the republican movement, and this is her first play. Both Renegades (a study of women in the republican movement up to the end of the Civil War) and Dissidents (which looked at women who were hostile to the new state) were important books in my view, putting women into their rightful place in the narrative of the Irish revolutionary period and Irish republicanism. This play will be performed in the New Theatre, in Connolly Books. I have to confess, I only made my first visit to the theatre last week, thanks to the freak weather conditions which called off the Shelbourne and Saint Patrick’s Athletic clash, leaving us with a few hours to fill. As a friend perfectly put it, football is theatre of a different kind. Very glad to see attention to the Lockout. Many years ago James Plunkett’s ‘Strumpet City’ had a big impact on me, who had previously thought much more of 1916. Sorry to say our Irish-Canadian community seems to be letting the centenary pass without notice.